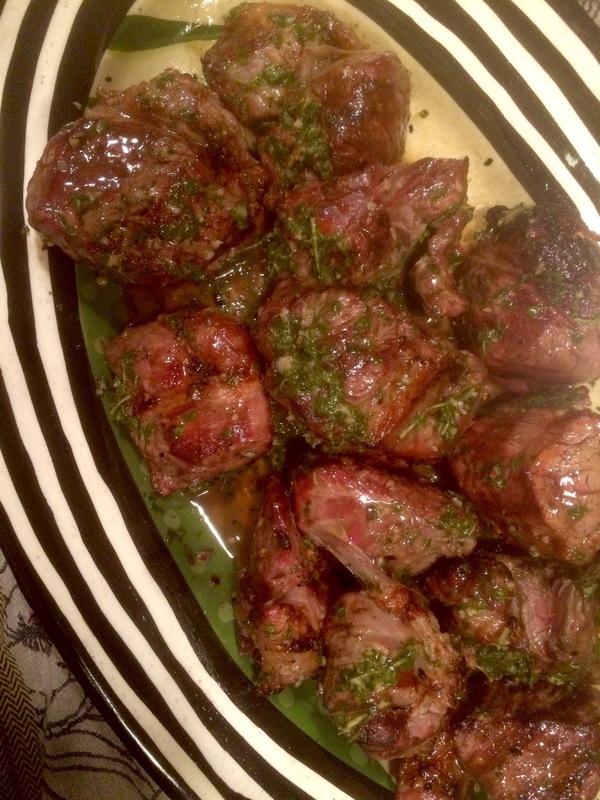 For this recipe I prefer to cut a boneless leg or lamb shoulder into two inch chunks, it makes for better marinating and more even cooking. The day before, stir together two cups of chopped mint, one cup of chopped parsley, five finely chopped cloves of garlic, a cup of extra virgin olive oil, the juice from a whole lemon, two tablespoons of kosher salt, and a teaspoon each of ground black pepper and chili flakes. 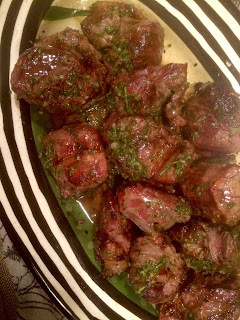 In a large bowl rub half of the chimichurri mixture into the lamb, cover, and let marinate in the fridge overnight. The next day, leave the lamb at room temperature for an hour or so before grilling, broiling, or roasting. Once cooked to your liking, immediately toss with the other half of the chimichurri mixture and serve….and get ready for a mind blowingly tasty Passover, Easter, or family dinner.